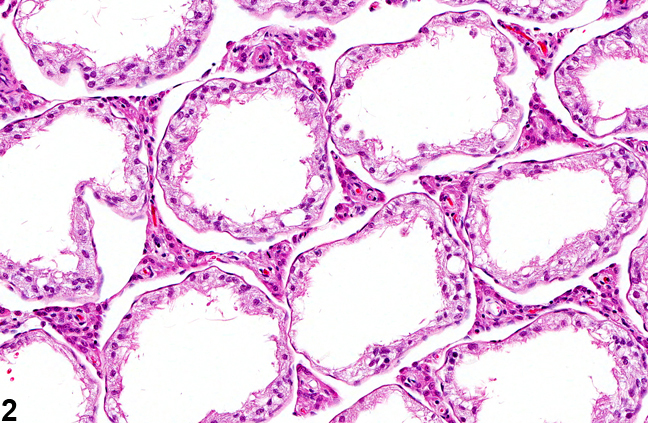 Testis, Germinal epithelium - Atrophy in a male F344/N rat from a subchronic study. 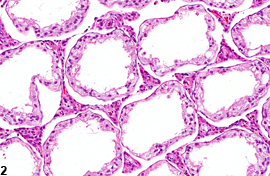 Seminiferous tubules are lined only by Sertoli cells. Testis, Germinal epithelium - Atrophy in a male F344/N rat from a subchronic study. 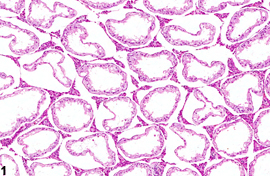 Higher magnification of Sertoli cell-lined seminiferous tubules in Figure 1. 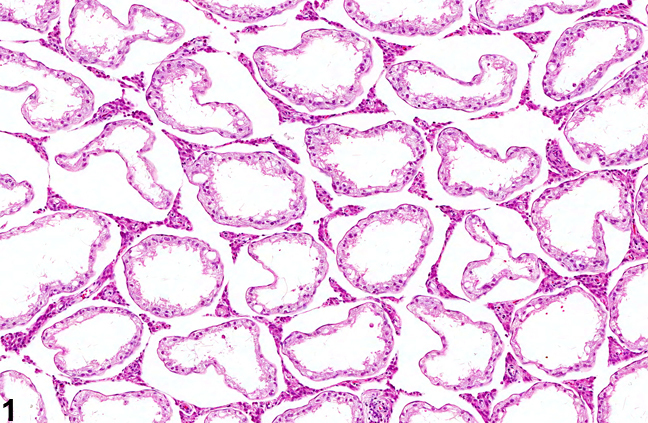 Testis, Germinal epithelium - Atrophy in a male F344/N rat from a subchronic study. 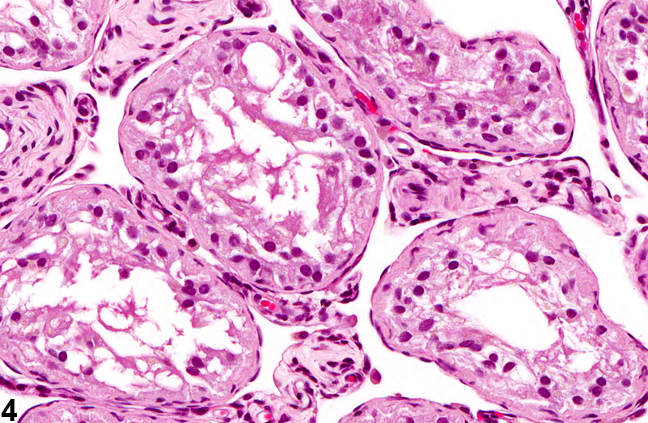 The majority of the seminiferous tubules are lined only by Sertoli cells. 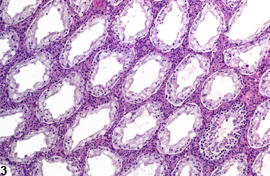 Testis, Germinal epithelium - Atrophy in a male F344/N rat from a chronic study. 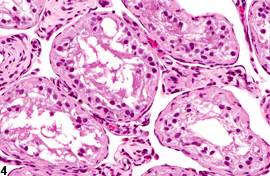 Seminiferous tubules lack germ cells and are lined only by Sertoli cells.